Number of followers is a crap metric. Here’s an example: my wife Geraldine runs the Twitter account @everywhereist. She has a respectable 72,517 followers. I run the Twitter account @randfish, which has 413,696 followers. From those numbers, you might assume that an average tweet sent from @randfish reaches ~5.17X as many people as a tweet sent from @everywhereist. That assumption is dead wrong. In fact, oftentimes it’s the case that @everywhereist’s tweets reach more people, get more engagement, and have a much larger number of impressions than a tweet sent from @randfish. If you were, in fact, trying to determine which account you wanted to send a broadly-targeted message from in order to maximize the impact, choosing @randfish, simply because that account has 5.17X as many followers, would be a bad decision. SparkScore is entirely free because our goal with it isn’t to make money directly, but rather to hopefully build some credibility for SparkToro as a company that produces high quality, more transparent, more reliable scoring systems for measuring influence. 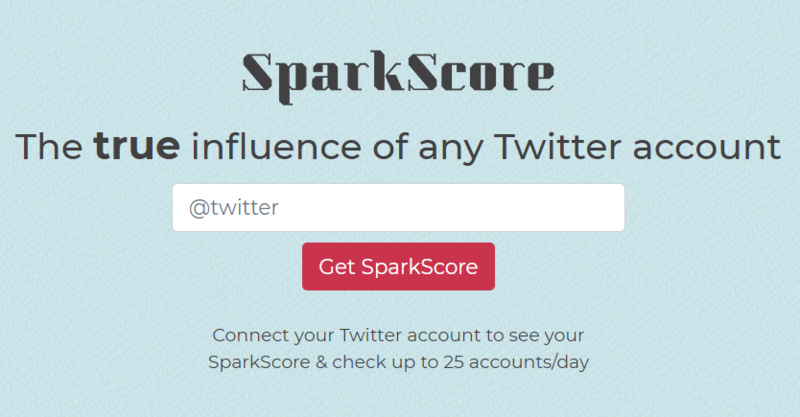 Longer term, as we build out our paid product (which is still 9-12 months away), we’ll be expanding and improving upon SparkScore, supporting more networks, and (hopefully) becoming a standard that many folks who need to compare the *true* influence of Twitter accounts can use. Our final innovation is the one I’m most excited about — Engagement Score. 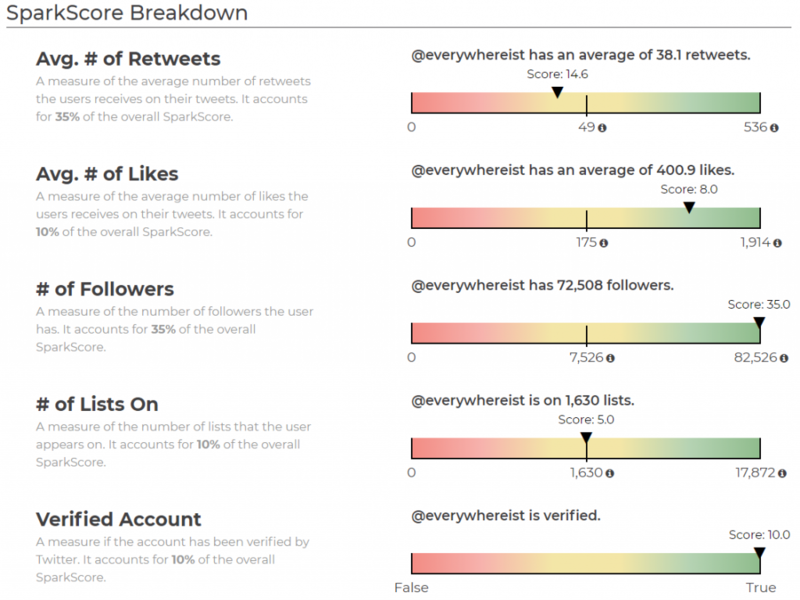 This metric shows how relatively engaging an account’s tweets are, given its followers. No surprise that @everywhereist is incredibly high on this scale; that’s a big part of what makes that account’s SparkScore bigger than @randfish. And it shows that we’ve found a way to help address the catalyzing issue for the tool’s creation.